Home Why use conveyor belt scrapers? Why use conveyor belt scrapers? Conveyor belt scrapers are an absolute ‘must’ for many reasons. Keeping your conveyor belts clean using belt scrapers can extend the life of your belts by keeping them in optimum condition. Material carried back under the belt can seep into your system and cause damage and a tough, good quality conveyor belt scraper is the best way to stop this from happening. Material stuck to your conveyor belt adds weight, which means that your system needs to work harder, which leads to higher energy costs. All of this can be avoided by using belt scrapers. Conveyor belt scrapers are also an important safety feature. They stop materials from accumulating underneath the conveyor belt and creating a safety/slip and trip hazard. Plus, of course, clean conveyor belts are more productive conveyor belts. By minimising the build up of debris you can minimise breakdowns and the need for maintenance visits, while also keeping the system running at full speed for longer. Good quality, effective conveyor belt scrapers play a very important role in this. What’s different about Transbelt conveyor belt scrapers? As one of the UK’s leading conveyor belt manufacturers, Transbelt is trusted by customers all over the world to keep their conveyor belts running smoothly. 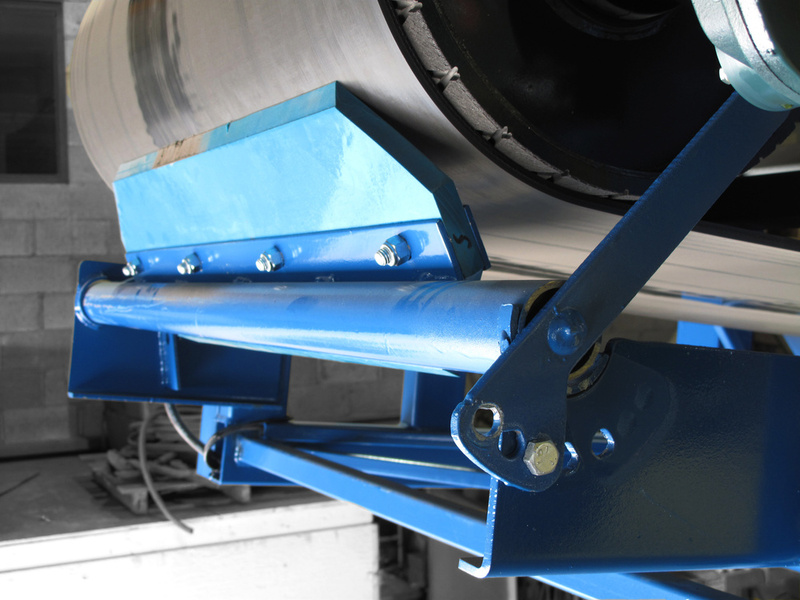 As well as being conveyor belt manufacturers we also provide maintenance to all of our customers, so it’s in our interest, as well as yours, to ensure that every Transbelt installed system runs as smoothly as possible. For that reason we use a polyurethane DEL/CLEAN conveyor belt scraper that we believe gets the job done better than any other. These belt scrapers can be used on any conveyor belt, whether it’s a new or existing installation. They are quick and easy to assemble with no lateral misalignment, as well as easily maintained and cleaned. They have a small footprint and an integrated tube torsion system that provides maximum hygiene. Our DEL/CLEAN belt scrapers are, in the opinion of our experts, the best way to remove unwanted contamination and damaging buildup on your conveyor belts. For information on conveyor belt manufacture, installation and maintenance get in touch with Transbelt today.